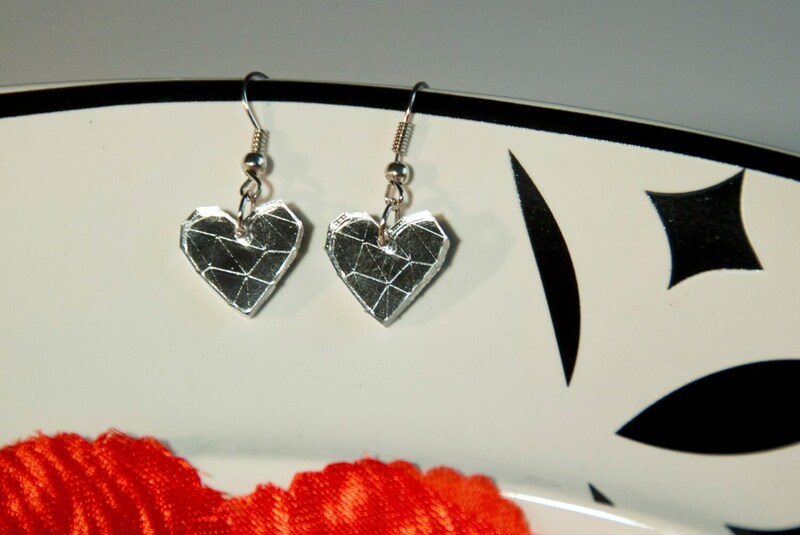 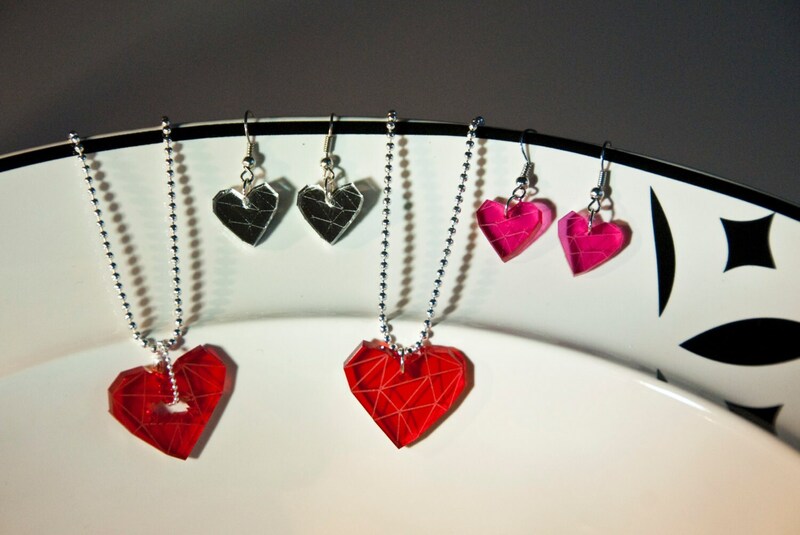 Heart shaped earrings made of acrylic, especially made for Valentine's Day! 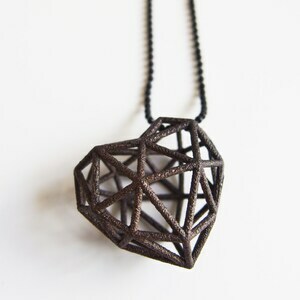 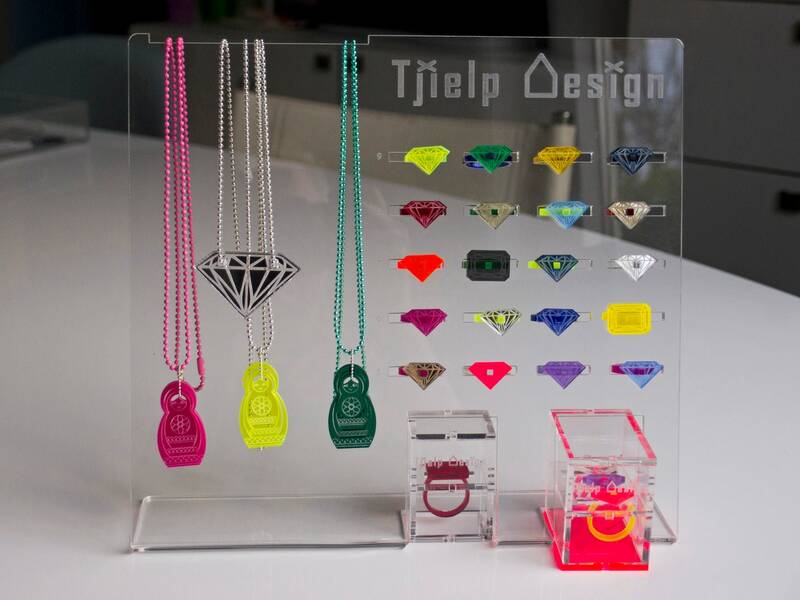 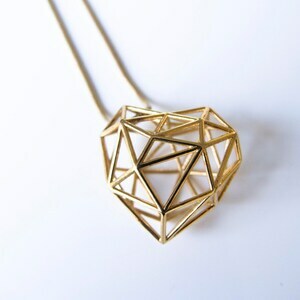 The heart has triangular lines engraved on the front, to give it a faceted look. 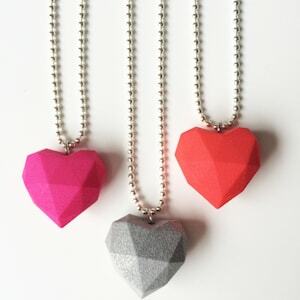 As you can see in the last picture, there are a lot of different colors possible, so If you want another color heart, please let me know! 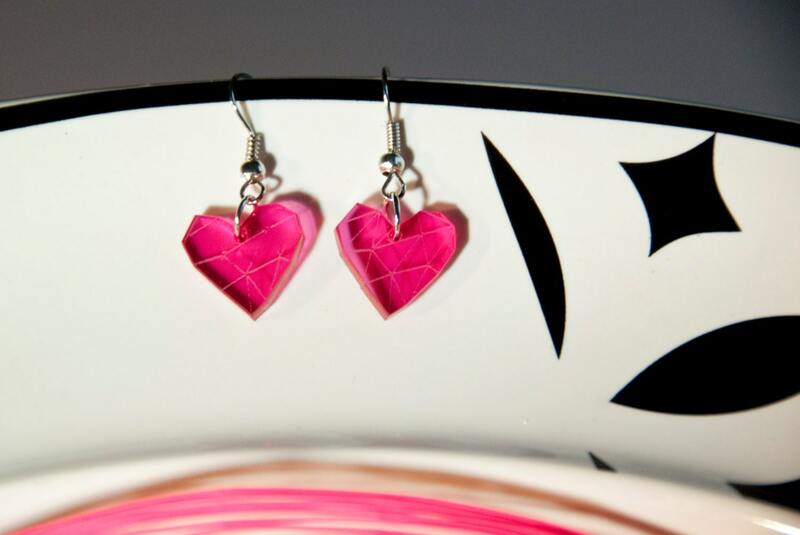 The heart is about 1,5 cm (0.6 inch) high.